The Green Party and Fianna Fáil have agreed to a draft programme for government. The 90-page document is to be put to a special Green Party conference tomorrow afternoon and will also be discussed by the Fianna Fáil Parliamentary Party. Speaking this evening, Minister Séamus Brennan said the draft programme covered all major policy areas but did not deal with distribution of Ministerial Portfolios. Mr Brennan said these would be decided by Green Party leader Trevor Sargent and Fianna Fáil leader Bertie Ahern when they meet tonight or tomorrow morning. Trevor Sargent said they believed the roadblocks which led to the collapse of talks on Friday have been worked through. But he said it would be the party's members who will democratically decide if the party is to enter the next Government. Mr Sargent also said members at tomorrow's convention will not be told how many ministries the party can expect if they approve the coalition. Speaking at a news conference in Dublin, he said they would not be discussing Government formation tomorrow but only the policy platform agreed with Fianna Fáil. 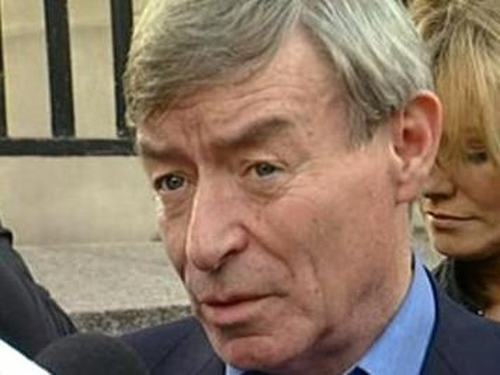 He said it was recognised there would be a role for the two deputies from the Progressive Democrats and for Independents, but that was a matter for the Taoiseach. He said he was very happy that if the deal were approved, there would be major changes in people's employment and quality of life. 'Following long and detailed negotiations with the Fianna Fáil party, I would like to confirm that the Green Party's negotiating team, our reference group and I, believe that we have a basis for an agreement on a programme for government which we are now going to present to our members. Last Friday, the negotiations had to conclude as insufficient progress had been made. Now, we feel, the roadblocks that existed have been worked through. Tomorrow, we will welcome our members from the four corners of Ireland to a meeting at the Mansion House in Dublin, to read, discuss, debate and then finally vote on this document. 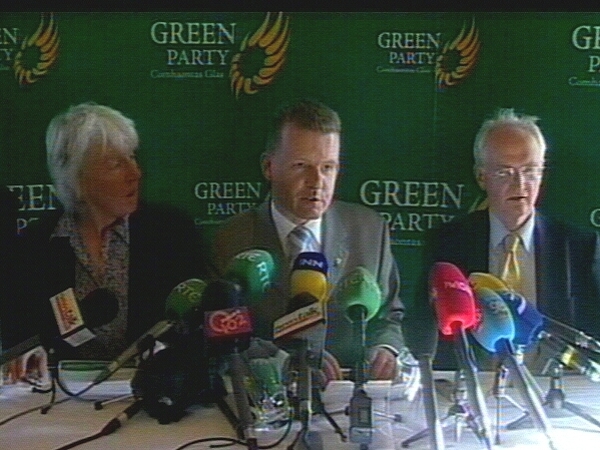 It is our members who will democratically decide if the Green Party is to enter the next Irish Government. I would like to thank the negotiators and the extended members of the Reference Group and staff in the Green Party for the extraordinary efforts that have been made to bring this document together. I appreciate also the patience and understanding of our members. Click here to visit our election site.